My concern about the school is that dust levels not only appear to exceed human health reference levels, but that the dust is largely made up of coal. Coal dust contains silica, trace metals, and poly-nuclear aromatic hydrocarbons (PAH), many of which are known human carcinogens. PAHs have been found in dust samples taken at the school. Inhalation of coal dust is known to cause adverse health effects in humans, however, studies of coal dust toxicity are understandably mostly of adult populations. Children are particularly at risk from dust exposure in general, so it is reasonable to assume that coal dust creates an even greater risk for children than it does adults. School are likely to be at increased risk of adverse health effects, both currently and in the future, as a result of exposure to coal dust, quartz, PAHs, and other constituents of coal dust. Furthermore, children are exquisitely sensitive to the harmful effects of exposure to environmental toxicants, even at doses below the no-effect level in adults. Thank you Ken. The last 5 years have been 5 years of frustration in trying to get Governor Manchin to conduct a proper investigation into the air quality concerns at MFE. He still refuses to acknowledge Dr. Simeton’s disclosure. Governor Manchin is the one person that could have and should have taken leadership in addressing these concerns, but chose to tip toe around the issue. It seems that his political aspirations are far more important than the children’s health at Marsh Fork Elementary. It is so very perplexing why this Governor would go to Germany, tour a small experimental coal plant, insult the U.S. EPA from foreign soil, and then come home and refuse to weigh in on an issue so important to the parents and citizens in the Marsh Fork district. It begs the question of what could possibly motivate him to lobby for the coal industry and ignore the health hazards that industry poses to the little children at Marsh Fork Elementary. I hope that voters never forget the refusal of this Governor to protect these kids. I certainly won’t. The Marsh Fork Elementary School situation is a real concern, but so is the enviornment around many other schools. As well as, the environment in the schools. USA TODAY examines the impact of industrial pollution outside the nation’s schools and explores how toxic chemicals shuttered one elementary school in Addyston, Ohio, three years ago. Right on Bo. Governor Manchin could care less about the children at Marsh Fork Elementary School. He lets other people test the air for coal dust content, or so he says. I think the children at Marsh Fork Elementary School should file for Black Lung benefits. Not only the children, but the teachers to. I don’t want to see anyone lose a job, be it mountain top removal mining or at a hospital, grocery store, etc. All emsployees should save their money while they are working for a day when they might be cut off. All workers who lose their jobs can draw unemployment benfits for 26 weeks, and could get food stamps. Thanks Ken for the update on Marsh Fork Elementary School. Why would any parent allow their children to attend any school, or other facility, that they thought was truly unsafe? I can’t speak for the parents at Marsh Fork, but I would not knowingly put my child into an unsafe situation. I would home school, I would drive them to another school, I would do whatever I could to keep them out of harms way. I really do not understand the parents who claim the school is unsafe but continue to send their children there on a regular basis. Makes no sense to me whatsoever. Thanks to the people living on Coal River who have fought for the safety of the Marsh Fork kids with incredible determination for almost five years now. These West Virginians and their Mountain Justice and Climate Ground Zero friends are true American heroes. You think that parents who send their children to a facility they consider unsafe are heroes? Your logic escapes me. 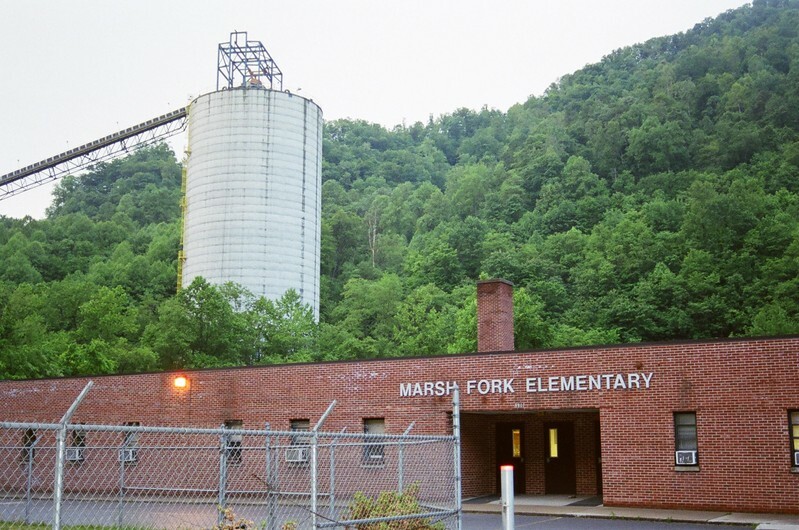 Raleigh County School Board just voted YES to formally ask for money to build a new school for the students and teachers at Marsh Fork Elementary, so many thanks to you Ken and your great investigative reporting you have done on this subject. I would like to make a suggestion to the strip miners. 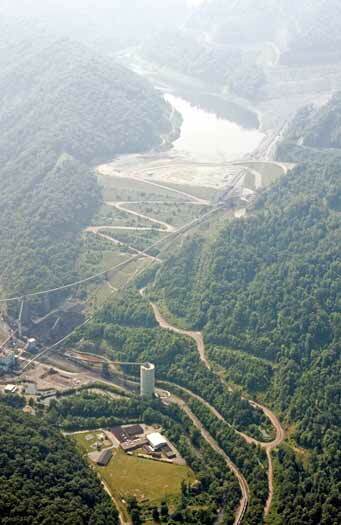 You all seem to be so afraid of losing your jobs if mountain top mining recovery is stopped. Also what a hardship it going to place on your familes. Underground mining is not all UMWA. There are many undergound coal mines that are non-union and many of the same coal operators that are involved in mountain top mining recovery are also involved in non-union coal mining. I see advertisements every day where these mines are wanting miners to operate their underground equipment. The operators are even offering free training for the miners they hire. They also pay a good wage, and have excellent health benefits. Maybe the mountain top mining removal operator that you strip miners are working for now has one of these mines that have a shortage of underground miners. Maybe some of you should try to get a underground job, if you are bothered so much about losing your mountain top mining removal job. You all wouldn’t even have to go out west as I have read some comments from some of you. I know that it would be more dangerous working in a underground mine, but you would not have to be concerned about losing your job. To tell you the truth even tho you might be a Massey employee or Arch Coal, you would be respected by the people you lived near. Remember that old Merle Haggard song, “It’s dark as a dungeon way down in the mine. Where the rain never falls and the sun never shines.” Sure it is, but you would have a decent hard working job. Good luck and good night to both union and non-union coal miners.